BELLEVILLE – An online petition opposing the Hastings and Prince Edward District School Board‘s decision to rename Moira Secondary School in Belleville is close to its 2,500-signature goal. 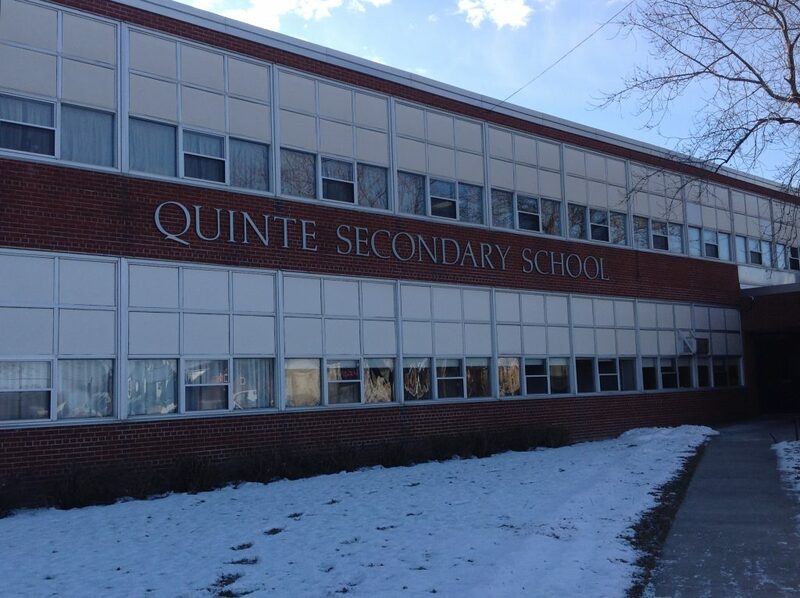 The petition stems from a motion passed last spring in which the board agreed to the closure of Quinte Secondary School in June 2018 and relocating its student body to Moira and Centennial Secondary School. 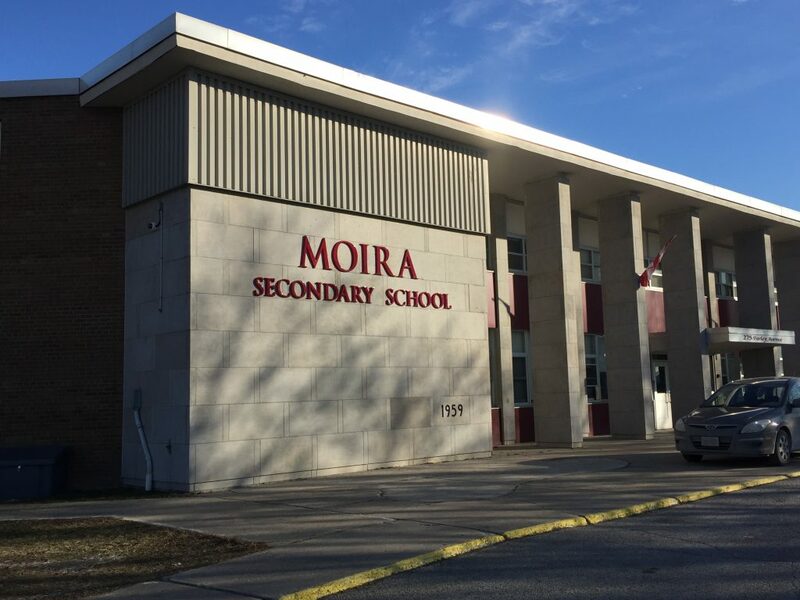 The name change is intended to bridge the two different student bodies who will be attending Moira after the closure of Quinte. The board proposed five possible new names, and asked the public to vote to choose one. According to board spokesperson Kerry Donnell, Gord Downie Secondary School was one of the leading candidates from the vote and honours the lead singer of the Tragically Hip who died in October. The petition opposing the name change was started two weeks ago and as of Thursday afternoon had 2,475 signatures. It states that the money spent on the rebranding would be better used on educational resources for both current and new students at the school. “Rather than changing the name of any school, the school board should concentrate on making those students feel welcome at the two schools,” said Belleville council member and petition supporter Egerton Boyce. “The money they are spending is, in my opinion, needless. The school board is aware of the petition against the renaming but has not received it yet, according to Donnell. “The decision was really that Moira and Quinte would consolidate, and the trustees voted to rebrand the existing Moira Secondary School because it would be welcoming a large chunk of the students from Quinte together with the Moira students,” said Donnell. However, not all students from Quinte will be going to Moira. 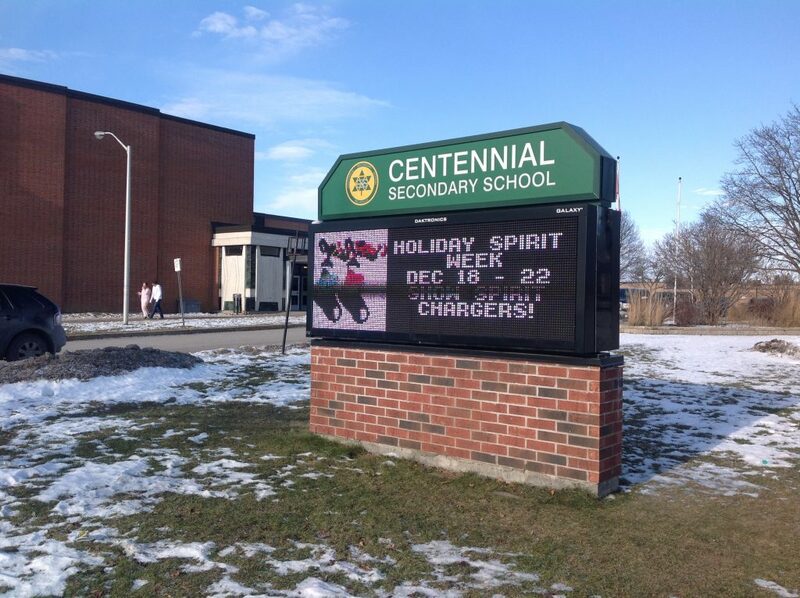 Four hundred students from Quinte are expected to attend Moira, with another estimated 200 Quinte students set to attend Centennial Secondary School because of school boundaries. The voting process on the new names ended Wednesday and a recommendation is to be presented to the trustees on Jan. 8 for a final decision. Boyce said he encourages people to attend the Jan. 8 meeting and listen to what the trustees have to say.